This project takes as its starting point the fact that approx. 1,700 times every year, an elderly citizen in the City of Copenhagen falls in their home and cannot get up again without help. Employees in home care are called out to these falls, but it is often also necessary to summon assistance from the fire brigade. This has meant that citizens have often had to lie on the floor for more than 1 hour before help arrives, as the fire brigade’s main tasks are emergency, life-threatening events. A pilot project looked at opportunities for new technological solutions to the problem and discovered new possibilities to rethink the task so that the use of the fire brigade could be reduced and thereby also the waiting time for both citizens and employees. This resulted in two mobile lifts being tested in two home care units in 2008. The pilot project showed that the changed work routines that resulted from the introduction of the new tool, not only provided a better but also a more effective solution to the task and a better working environment for the employees. The background for a project that focuses on developing and testing the equipment is that it is typically moving the position from lying to sitting that is most difficult for the citizen, and which represents the major occupational strain for the carer, as this involves ‘dead weight’ when citizens cannot do anything themselves to help. A citizen calls on their emergency alarm when they have fallen and cannot get up. The Homecare Service sends out two employees, one of whom is from the nursing group. A carer comes on a scheduled visit to a citizen and discovers that they have fallen. If the carer cannot guide the citizen, they call the Homecare Service and summon assistance. If the carer is in the slightest doubt about whether the citizen has been injured, the assistance shall be provided by a nurse. Due to the potential occupational strain from lifting a citizen up from the floor, the working environment instructions are that the employees must initially try to guide the citizen up so that the citizen can get from the floor to a chair or bed by their own efforts. In those situations where the employees cannot guide the citizen up, the City of Copenhagen has an agreement with the fire brigade that they will be called for assistance. The goal of the project was to optimise the working procedures of the Homecare Service by introducing mobile lifts as permanent aids. Before the start of the project, the Homecare Service used an average of 150 minutes on the falls where employees could not guide the citizen up and had to summon assistance from the fire brigade. It was expected that by having mobile lifts available, the Homecare Service would be able to solve the same kind of falls in 2 x 25 minutes with two employees (50 minutes in total). Since there are 1,700 falls every year, where the employee cannot guide the citizen up, the anticipated time-saving potential in the City of Copenhagen was approximately 5.2 FTEs or DKK 1.6 million annually. The project was also expected to have a number of positive side-effects, such as an improved working environment and improved citizen services. This is because the introduction of the mobile lifts would entail a more gentle lifting procedure for both the citizen and the employee. By introducing the technology of mobile lifts, there is a proven savings potential for homecare in the City of Copenhagen of approx. 5.2 FTEs or DKK 1.6 million annually. There is an increase in the number of fall situations that the home care service can handle without using the fire brigade. The employee experiences a more caring handling of the task “Up from the floor after a fall” through the use of the mobile lift technology. The employees experience a labour-saving potential as positive. The citizen experiences a more caring handling of the task “Up from the floor after a fall” through the use of the mobile lift technology. There is a successful organisation in relation to storage, transportation and maintenance of the mobile lift technology. The relevant home care employee completes a training course in the use of the mobile lift technology in the form of an introductory course, on-the-job training and a general introduction to techniques for moving people. The pilot project had demonstrated that the employees were open to the use of a mobile lift and to solve the task themselves. But it also became clear that it was very important that the mobile lift was reliable. If the employees felt that they could not rely on the lift, they chose not to use it from the outset. Based on a number of qualitative and quantitative requirements, it was decided to purchase mobile lifts of type Mangar ELK. The ELK is an inflatable lifting cushion that allows two employees to lift a citizen of up to 450 kg from the floor without straining the employees’ backs. The seat height of 56.5 cm means that when the cushion is inflated, the citizen can get up by themselves (or with support from the employees) and stand by their walking frame, sit in a chair or on a bed. The ELK weighs a total of 9.7 kg and consists of a 5-compartment lifting cushion, a compressor and a hand control. The four cushions are filled with air from a small portable compressor. As the compartments fill with air, the citizen is lifted up until they are at a height where the employee can move them without straining their back. The pilot project had shown that the most suitable solution was to place the mobile lifts in the Homecare Services nursing cars. 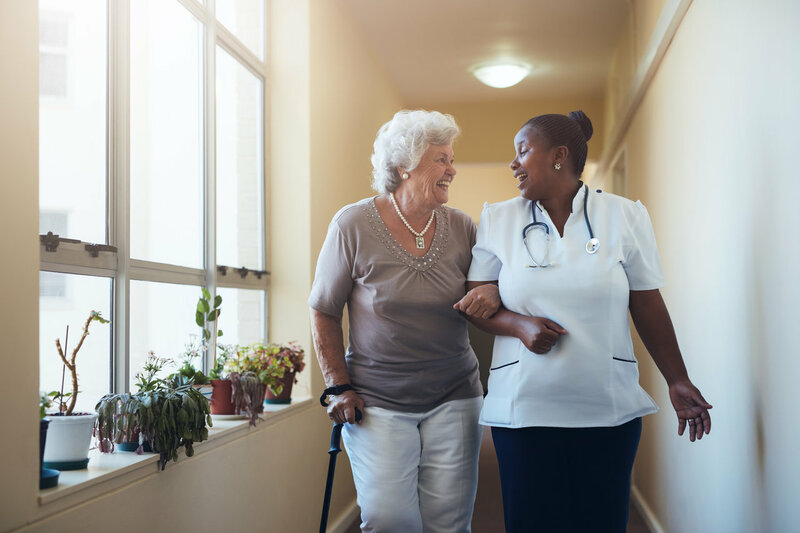 Since a qualified nurse’s assessment is required in fall cases, this ensures that the lifts can be quickly deployed at the citizen who requires assistance to get up off the floor after a fall. It was considered that the requirement would be covered if each homecare unit was equipped with 3 mobile lifts each. 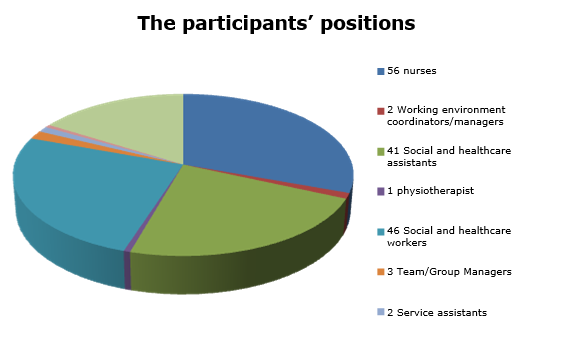 The evaluation was conducted by Arbejdsmiljø København [Working Environment Copenhagen] and provided an overall impression of the impact of the introduction of the mobile lift on homecare. Collected data on the use of the Copenhagen Fire Brigade. Success criterion 1: The labour-saving potential. By introducing the technology of mobile lifts, there is a proven savings potential for home care in Copenhagen Municipality of approx. 5.2 FTEs or DKK 1.6 million annually. It was expected that by having mobile lifts available, the homecare service would be able to solve the same kind of falls in 2 x 25 minutes with two employees. It takes two employees to help a citizen up from the floor with a mobile lift after a fall. The evaluation showed that on average, 2 x 22 minutes were used by two employees. The recording of falls in the two home care units and in the 24-hour service (Døgnbasen) showed that the total time used by the two employees ranged from 10 to 80 minutes. The large variation may be explained by the fact that there are major differences between the extent to which the citizens can cooperate, and how long it, therefore, takes to get the citizen standing by their walking frame, sitting in a chair or lying on a bed. The baseline measurement showed that before the start of the project, the homecare service used an average of 150 minutes on the falls where the employee could not guide the citizen up and needed to call for assistance from the Fire Brigade. Since there are 1,700 falls every year, where the employee cannot guide the citizen up, the time-saving potential in the City of Copenhagen was approximately 5.6 FTEs or DKK 1.85 million annually. ((method: 1,700 falls x 106 minutes/940 hours average annual citizen time per employee (average for social and healthcare worker and nurse)) x (1940 gross annual norm per. employee/940 hours) x (DKK 170 average hourly wage from fldnet.dk) – (1 FTE for practical organisation)). 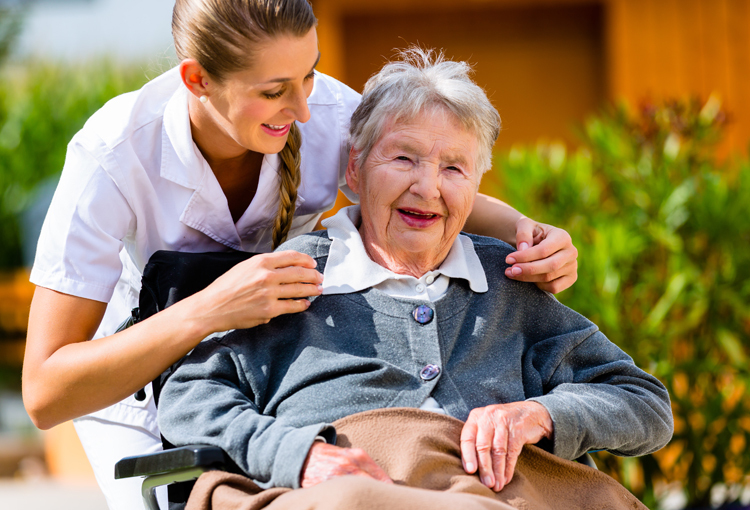 There is an increase in the number of fall situations that the home care service can handle. The Homecare Service entered into a new cooperation agreement with the Copenhagen Fire Brigade in July 2009. The purpose of the agreement is that the Homecare Service shall have the necessary assistance from the Copenhagen Fire Brigade in connection with citizens who have fallen in their own homes. The service is limited to cases where the citizen has fallen in their own home and where the Homecare Service cannot help them to their feet again. Even when the Fire Brigade has arrived, the homecare service is responsible for the citizen and cannot leave the citizen, even after the Fire Brigade has arrived. In 2007, the Copenhagen Fire Brigade was called to assist in 520 cases of falls in citizens’ own homes. This dropped to 96 trips in 2009 and an estimated 84 trips in 2010. The registration survey showed that in only 4% of the falls where the mobile lift was used was it necessary to give up and call for assistance from the Fire Brigade. The reason that there was a significant decline already in 2009 is that there was confusion in relation to a new agreement from September 2009. Here, a number of employees had mistakenly believed that they could not summon the Fire Brigade, but should deal with all falls themselves. The figures for 2011 onwards are likely to be even lower in step with the mobile lifts being fully integrated into the daily routine and especially when there is a satisfactory solution to the problem that the mobile lifts are viewed as heavy and awkward to transport. 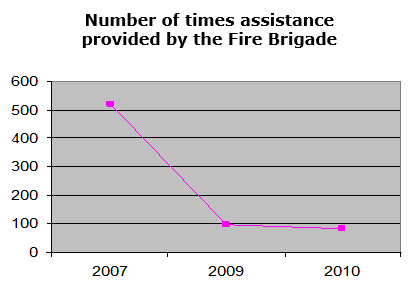 Assuming that the number of falls requiring assistance remains constant, a decrease from 520 trips in 2007 to an estimated 84 trips in 2010 indicates that assistance from the Fire Brigade was only required in 16% of the cases. Since the target was 15 %, it must be concluded that the project has achieved its goal. The evaluation shows that the Homecare Service’s increased opportunities to help a citizen up after a fall is perceived as an improvement of the psychological working environment. There have previously been many cases where employees felt that the firemen who were summoned, questioned whether there really was a need for assistance. This was perceived as psychologically stressful, which reinforced the feeling of helplessness that many employees experienced when they had been forced to let a citizen lie on the floor for a longer period because they could not guide them up. For the employees, the labour-saving potential was only of minor importance for their positive perception of the mobile lifts. The time aspect has a more concrete and practical significance for the employees. Firstly, time plays a role in relation to named irritation over the long waiting time for assistance from the Fire Brigade. Secondly, it is significant because it is in the nature of things that it is impossible to predict when a fall will occur, and it is an urgent task. There is a major risk, therefore, that the longer the task takes, the more it will interfere with the other tasks in a busy schedule and this increase stress levels. For the employees, however, it very important that the mobile lifts are aids that facilitate their work in relation to a very specific and difficult task. They experience the mobile lifts as a useful tool. 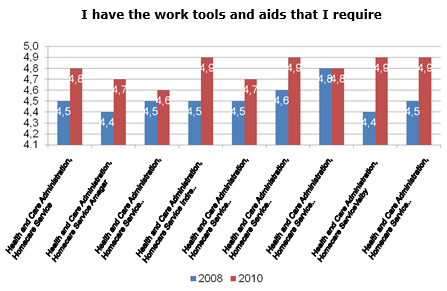 If we consider one specific question in the City of Copenhagen’s job satisfaction surveys from 2008 and 2010 respectively, “I have the tools and resources I need”, we see a clear, positive development in all the home care units. The increase is between 0.1 and 0.5 percentage points. It is experienced as very positive that the employees have new options in terms of helping an individual who has fallen. The employees explained that it is of major importance to them that they can do the job themselves: That they can help the citizen all the way up, make sure that the citizen is well and then move on to other tasks – instead of having to sit and wait for up to one hour for assistance. It gives them a sense of authority and competence in performing their tasks. It requires a certain amount of practice and good cooperation between the two employees to lift a citizen successfully with a mobile lift. One employee prepares the cushion and the compressor, while the other talks to the citizen, explains what will happen and ensures that there is a chair or a walking frame ready for the citizen to use. Together, the two employees get the citizen onto the cushion, possibly by using a slide sheet. One employee operates the mobile lift, while the other stands behind and supports the citizen. When the citizen is up and placed in a chair or bed, the mobile lift is cleaned with spirit and packed into the bag. Proper use of the mobile lifts requires that the employees can communicate with the citizen. It is difficult if the citizen is very confused, intoxicated or otherwise unable to cooperate. This can sometimes mean that the task must be abandoned and the Fire Brigade is called. The only recurring criticism in relation to the use of the mobile lifts is that it is perceived as heavy and awkward, especially when it has to be transported up to e.g. the fifth floor. For some employees, the difficulty of transporting the mobile lift became an excuse for not accepting the new tool. The producer is developing a prototype in a backpack as a solution to the transport problem. This has occurred through input from e.g. the Homecare Service. The evaluation shows very clearly that employees have experienced that the implementation of mobile lifts as a work tool has reduced both the physical and the psychological working environment impacts associated with helping a citizen up from the floor after a fall. The physical strains occur when the employees try to move the citizen off the floor. Transfer from the floor represents a particular strain on the body because it is impossible to keep the spine in its natural, neutral position or to avoid twisting and bending the back during the transfer. The psychological stress arises partly as a result of the stress and helplessness experienced as a result of being unable to help a citizen out of an unpleasant and undignified situation and having to wait a long time for assistance from the Fire Brigade. But stress also occurs when other scheduled tasks have to be postponed at short notice in order to deal with an emergency situation. In addition to the mobile lifts reducing the actual occupational work load, it also affects the working environment in a more indirect way, by focusing on the potential stress inherent in transfer tasks. This occurs because the use of an aid like a mobile lift helps to make employees aware that it is a transfer task that strains the body. However, one should be aware that the use of a mobile lift may in itself cause strain on the body because the employee must transfer the citizen from the floor onto the cushion of the mobile lift. It is generally believed that the use of mobile lifts has had a positive effect on the number of occupational injuries. It has not been possible to see whether this is reflected in the reported injuries. It is generally believed that the use of mobile lifts has had a positive effect on the number of absences due to illness. However, it has not been possible to see whether this is reflected in the statistics compared with the first two-quarters of 2008 and 2010 respectively. The citizen is made to feel safe by the fact that the employees can reassure the citizen, tell them what is going to happen and support the citizen during the lifting. It is also of great importance that the citizen can quickly get out of a situation that is uncomfortable and undignified. Some citizens experience the situation of using a mobile lift as cumbersome and slow because, after all, it takes time to deploy the mobile lift and pump up the four cushions. They have difficulty understanding why the employees do not just lift them up. However, this is an issue that was even clearer when they had to wait for the Fire Brigade. It requires a certain degree of cooperation by the citizen to use the mobile lift. The citizen must be able to communicate with the employee and must have some ability to balance so that they can sit on the cushion during lifting. This means that if the citizen is very confused or intoxicated, the employee must give up and call the Fire Brigade. This problem could be solved by the Homecare Service supplementing the model of mobile lift used in this project with a larger model that also has a back and armrests. It should be noted here, however, that this would probably be somewhat heavier than the mobile lift used in this project. It has not proved useful to prepare the planned information material for citizens about the technology and about the citizen’s role in the use of mobile lifts. The fall situations are often experienced as being unique, where it is the direct communication between the citizen and the employee that is decisive. Sometimes, the situation involves citizens who would have very little benefit from written information. However, one can imagine that if the idea was implemented to place a mobile lift permanently in a home where the citizen falls frequently, it would be appropriate to provide more formal information. The organisation and administration of the mobile lifts have quickly become an integral part of each home care unit’s daily operations and therefore also reflect the differences that exist between the organisation of the various units. In some units, all three mobile lifts are placed in the nursing cars, while in others only two lifts are placed in cars, while the third is stored with the nursing manager. Placing the lifts in the cars is due to the fact that in the City of Copenhagen, it is the normal practice that a nurse will be summoned in case of a fall. The nurse uses a car as the means of transport, since there may be long distances between those who receive nursing care. The mobile lifts are therefore stored in the car permanently. Because the homecare units have more than three cars each, some coordination is also required. However, the evaluation shows that this does not cause problems. It was estimated in the project application that a total of one FTE would be used in the entire Homecare Service for the administration of the mobile lifts. It has not been possible to record the specific amount of time spent on the administration of the mobile lifts because, in step with the implementation, it has become an inseparable part of the general administrative work around the use and maintenance of aids. But the evaluation discovered no expressions of irritation that the implementation of the mobile lifts was an additional administrative burden on the homecare units. 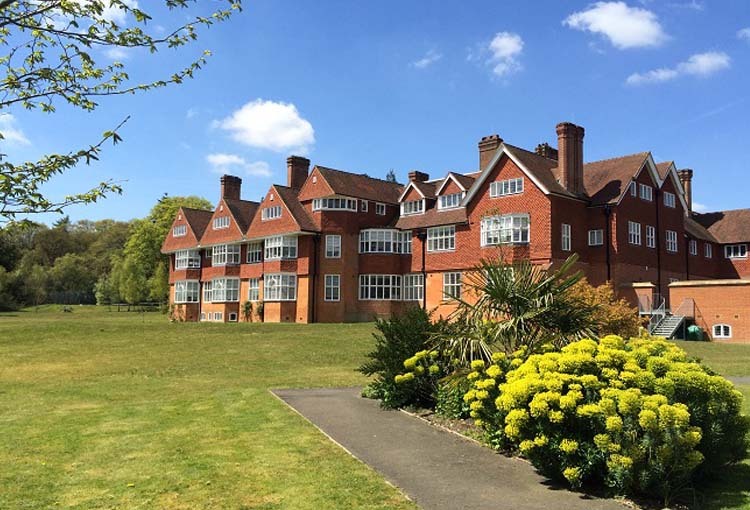 The small amount of time spent on administration was also thanks to the fact that the ELK was very reliable (unlike the mobile lift used in the pilot project) and it was therefore only necessary to contact the manufacturer on a few occasions. The relevant homecare employee has completed a training course in the use of the mobile lift technology in the form of an introductory course, on-the-job training and a general introduction to techniques for moving people. Good instruction in the use of a new aid minimises the risk that the employees shied away from using a mobile lift, either because they did not feel competent or because they did not appreciate its potential. The specific target group for the courses was mainly the resource persons for transfer in the Homecare Service and the 24-hour service who perform the task in relation to falls and who are in direct contact with the citizens in case of a fall. The knowledge they acquired about using the mobile lifts could be used both in their own work and for the instruction tasks they have in the individual homecare units. The course lasted 3 hours and was conducted in Arbejdsmiljø København’s “bed ward”. The teaching was divided between practical training in the use of mobile lifts and more general training in transfer techniques. The practical training was designed to instruct personnel in the use of the equipment. The course participants were familiarised with the mobile lift and they worked with it so they became comfortable using it. At the same time, they had an opportunity to give their immediate reaction to the mobile lifts and could suggest improvements. Those who had used a mobile lift in practice were able to talk about their experiences. When the employees are comfortable with the use of the lift, there is less risk that they return to lifting the citizen or calling the fire brigade unnecessarily. Finally, the employees’ confidence reassures the citizen, so they are not “afraid” of the new, unfamiliar methods. The overall training in transfer techniques provided the course participants with knowledge about transfers at floor level. They have learned about working posture and methods to avoid the most stressful postures and movements. The employees experienced the training as very meaningful and fruitful. They have subsequently been able to train their colleagues at local, joint weekly group meetings so that they all became qualified to operate the mobile lifts. The instructor’s assessment is that the training could have been cut down to two hours, without affecting the quality. The project used a tender process to ensure the best private partner in relation to the economy, quality, technology development possibilities, service, etc. The tender process was completed without any problems. Based on lessons learned from the pilot project, it was possible to establish clear technical and qualitative requirements for the lifts and to select the most qualified product called the ELK. The tender documents emphasised that the mobile lift should be able to perform the task ‘up from the floor after a fall’ by lifting a person from the floor level to a height of at least 55 cm. It should be easy to instruct new users in the use of the lift. The citizen should feel safe while being lifted. There were two suppliers who submitted offers, but only one could meet the requirements. A contract was concluded with that supplier. The contract has no set term but runs initially for one year and the lifts are then expected to be included in the general municipal operations. The project fully met its goal. It has proved possible to optimise the working routines by the Homecare Service’s employees themselves using mobile lifts to help citizens up off the floor after a fall, instead of having to wait for assistance from the Fire Brigade. 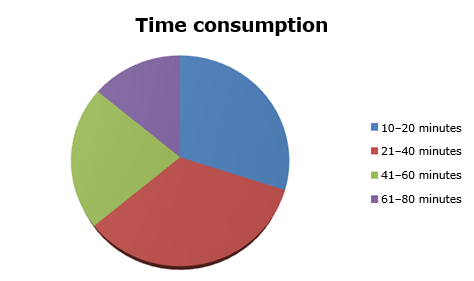 The optimised working routine is estimated to free up labour corresponding to 5.6 FTEs. This is 0.4 FTEs more than the estimated labour-saving potential. Before the start of the project, the Homecare Service used an average of 150 minutes on the falls where employees could not guide the citizen up and therefore had to summon assistance from the Fire Brigade. It was expected that by having mobile lifts available, the Homecare Service would be able to solve the same kind of falls in 2 x 25 minutes with two employees. 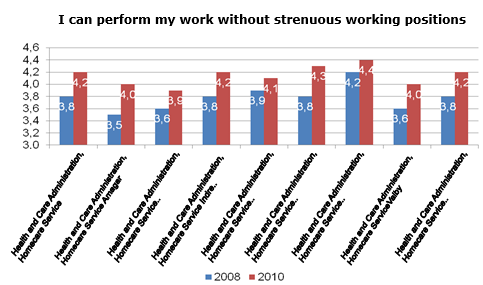 The evaluation showed that on average, 2 x 22 minutes were used by two employees. 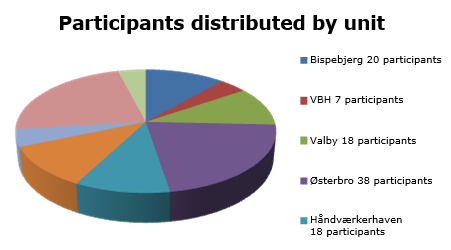 The project included a 3-hour course conducted by Arbejdsmiljø København for the resource persons in transfer in the home care unit and the 24-hour service that performs the task in relation to falls. These people subsequently trained their colleagues. A total of 178 employees, distributed between all the home care units and the 24-hour service, participated in one of the 9 training sessions.